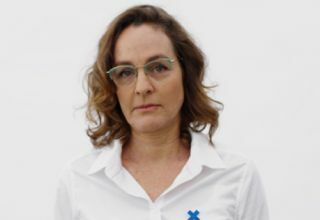 Aya Ben-Ron, an award-winning artist and senior lecturer at the School of Arts' Department of Fine Arts, will be representing Israel at the upcoming 58th International Art Exhibition, la Biennale di Venezia (also known as the Art Olympics). Ben Ron's creation Field Hospital X, which will be presented in the Israeli Pavilion, is a unique organization that is committed to researching the way art can react and act in the face of social ills and corrupt values in society. A pioneering study undertaken at the Institute of Evolution has identified a new protein family, which is present in most of the cereal species and is responsible for fighting harmful diseases. In the case of wheat, the functional gene is present in wild emmer wheat, the progenitor of wheat, while domesticated bread and pasta wheats contain only non-functional copies of the gene. Accordingly, future incorporation of the gene into the cultivated varieties will protect them against yellow rust disease that currently cause damages totaling around one billion dollars annually. “Our discovery is an outcome of a long research project that lasted 25 years. However, as soon as we managed to identify the sequence of the gene that provides resistance against yellow rust in wild emmer wheat, we also discovered genes that are structurally similar in almost all plant species. This is a real breakthrough that open new ways to reduce the yield losses caused by plant pathogens, as part of the efforts to secure the global supply of food,” explains Prof. Tzion Fahima, who headed the research. The effort to save the world continues. For the third year in succession, the members of the organization TiME (This is My Earth) have managed to raise funds to purchase an area to turn it into a nature reserve, thereby saving the species that live there and are in danger of extinction. This year, for the first time, TiME will purchase a maritime area – a coral reef off the coast of Belize. The members of the organization – which is open to anyone of any age from anywhere in the world – will thereby help save the hawksbill and leatherback turtles, the goliath groupers, and other species of animals and maritime flora, all of which are at varying levels of risk of extinction. “Until now we have saved areas of land, but now for the first time we have an opportunity to save an area of sea. The atoll – an island created on the basis of a coral reef – is amazingly beautiful, and many developers would be happy to purchase the area and exploit it. That would almost certainly harm the species that live there, which already face the real and existential threat of extinction,” explained Prof. Uri Shanas, the founder of TiME.